Hiked this trail twice a while back [Dec. 21 and 24]. 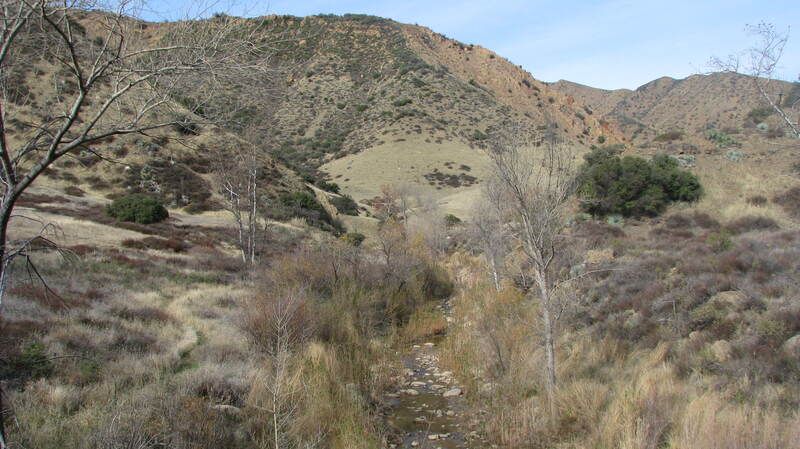 The Agua Caliente Trail is actually one of my favorite day hikes in the Santa Barbara backcountry partly cause it can be capped off with a visit to the hot springs and partly cause of the great scenery. 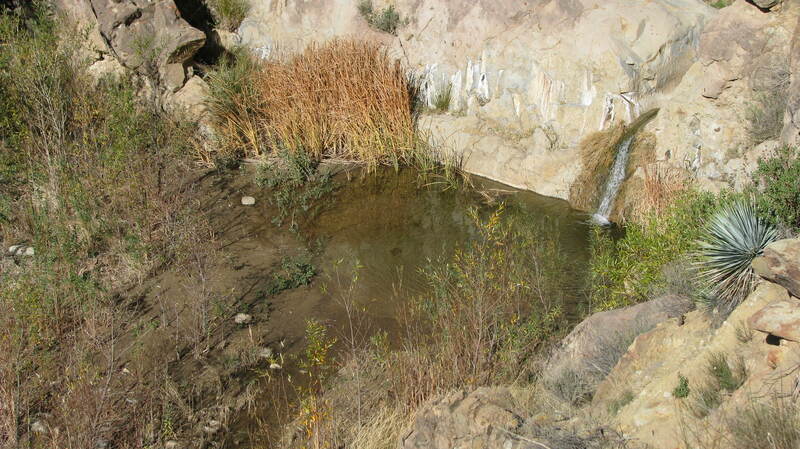 The trail starts right where the road ends at the Agua Caliente Hot Springs and so getting there involves a lengthy drive from Santa Barbara. The trail sign pretty much lays out the scope of the trail. 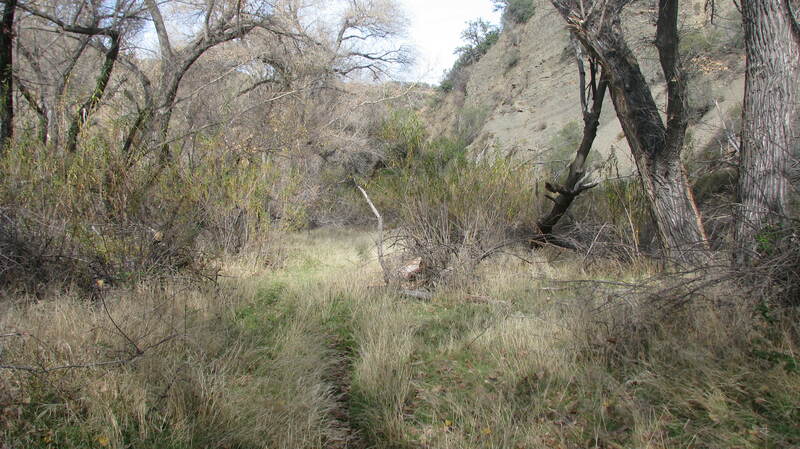 As the sign suggests the trail at one time went all the way to Potrero Seco, however since this trail is no longer maintained the ease with which one could complete such a journey remains to be seen. 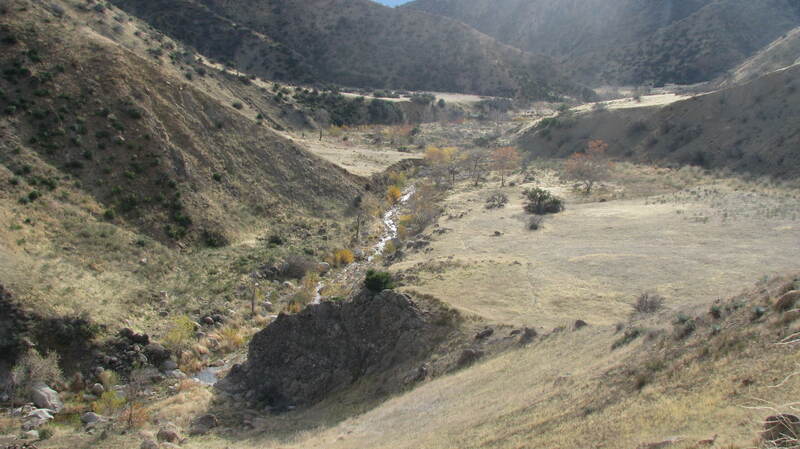 Once on the trail, you’ll almost immediately see a couple little side trails heading down to the creek which lead to a set of man made pools on the opposite side of the creek. These are the warmer compliment to the large pool at the trailhead that is Agua Caliente. Overall the trail is fairly easy to read as it mostly follows the creek. 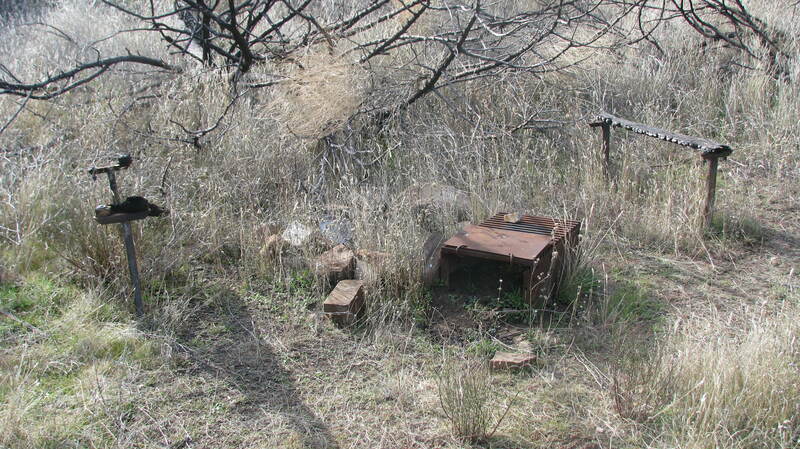 At about the one mile mark, the trail moves out of the Cottonwoods and travels through a series of grassy meadows and valleys. At the two mile mark one arrives at Upper Caliente Camp, below which is a great swimhole or was before it got silted up. On one of my many visits to this place I found bear tracks in and around the swimhole, seems like the bears know a good thing when they find it as well. The Zaca fire in this area burned right down to the camp, that is everything upstream is in the burn area. On the first hike [Dec. 21] we hiked another two miles past Upper Caliente Camp to check out the trail, which reveals another great series of views as the canyon twists and turns its way upstream. The trail is spottier in places as less people use it the further one hikes. It would, however, be fun to come back and try to follow it all the way to La Carpa Potrero, where at one time there was a trail camp. As we got a late start, we were reaching the time where we needed to head back. Just at the point at which my girlfriend had already started back and I could hike no further I found 7 little vertebrae in the hillside I had climbed to get one last view of the valley before having to return home. You are such a good writer, any plans to write book? Yes, that’s actually the plan. Been very active in developing a Lucid Dreaming workshop and so the pace of my writing has slowed, although still out there hiking almost every other weekend. 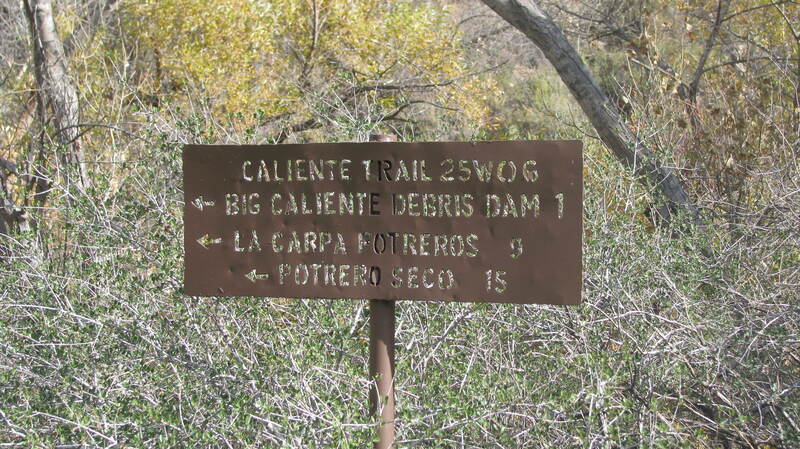 The benches at Upper Caliente were replaced in early- to mid-2010, so that’s one minor improvement. Still a pretty barren spot. Great write-up, James, thanks for sharing.